Ibn Majah, Abu _Abdallah Muhammad b. Yazid, was from Qazwin in Persia and lived from circa 824 until 887 C.E. He is the compiler of the last of the “Six Books” of authoritative (sahih) Sunni hadith collections. 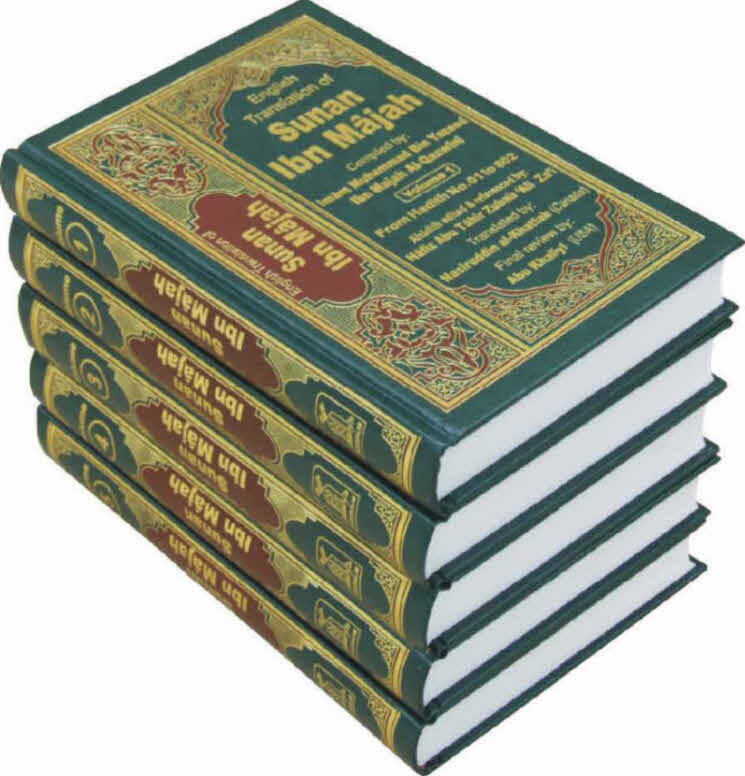 Ibn Maja’s Kitab al- Sunan contains 4,341 reports that he collected during Ibn Majah’s peregrinations through the Hejaz, Syria, Iraq, and Egypt, conducted in search of hadiths. About three thousand of these hadiths are contained in the other five standard collections. Initially Ibn Majah’s collection was criticized for containing a number of weak (sc. defective) (da_if) and discredited reports, which prevented it from being accepted by the large majority of scholars as a reliable compilation. Although Abu Da_ud and al Tirmidhi, editors of two other authoritative hadith compilations, also recorded weak hadiths, they identified them as such, whereas Ibn Maja did not. For these reasons, some of the traditionists preferred the Sunan work of al-Darimi (d. 869), another well-known hadith scholar, over that of Ibn Maja. However, by about the early twelfth century C.E., Ibn Majah’s standing as a traditionist (muhaddith) had improved considerably and his Sunan ultimately became recognized as one of the Six Books, although it is still regarded as the weakest one. Ibn Sina (Avicenna), was a poet, music theorist, astronomer, and politician, but he was best known as a philosopher and asa medical doctor. From his autobiography we learn that he was born in an Isma_ili family in Afshana, in the Persian region of Bukhara. 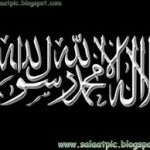 By the age of ten, he had completed the study of language and literature and memorized the Qur_an. He studied Greek logic and mathematics under his father’s friend al-Natili, a teacher and a prominent advocate of Isma_ili Shi_ism. However, he soon felt that his education and skills exceeded his teacher’s and he no longer needed him. By the age of sixteen, he had covered the various sciences and became a teacher and practitionerof medicine. Because of his fame as a doctor, he was called upon to treat the prince Nuh Ibn Mansur, who then gave him access to the princely library, which was rich in rare books. By eighteen, he was confident that he had mastered the sciences except for metaphysics. He read Aristotle’s metaphysics many times without understanding it until he came across al-Farabi’s interpretation of it. He spent his last years writing and practicing medicine in Isfahan, but owing to constant travel, insufficient sleep, and hard work, he fell sick and died. He was buried in Hamadhan. Ibn Sina wrote over 250 works, including books, odes, and essays. The most important of his philosophical books are Healing and Remarks and Admonitions. Each has four parts,the first three being logic, physics, and metaphysics. The first work closes with a part on mathematics, the second with one on Sufism. His most important medical work is the Canon of Medicine, which served as a significant reference in Europe from the eleventh to the seventeenth century. Ibn Sina’s philosophy centers primarily on the divine and human natures and their relationship to each other and the rest of the universe. The human soul individuates its body and gives it motion and life. Thus the body is dependent for its survival on its soul, but the soul’s existence is independent of the body. In life the soul uses its body for gaining sensory knowledge. This knowledge, when abstracted, becomes pure universals that can be imprinted on the theoretical intellect, the highest and noblest part of the rational soul—the latter being the highest part of the human soul and the only part that survives death. Such imprinting actualizes the theoretical intellect, rendering it eternal, because these universals are eternal and because known and the knower are one. With eternity, the soul attains its highest pleasure or happiness. 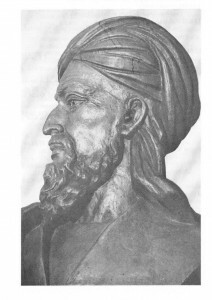 Ibn Sina was an intellectual giant whose philosophy combined Greek and Islamic thought but was unique in many respects. His ideas left a strong impact on future Eastern and Western thought. Ibn Rushd, whose Latin name was Averroes, was the most outstanding philosopher in the Islamic world working within the Peripatetic (Greek) tradition. He was particularly interested in the work of Aristotle and wrote a large number of commentaries of differing length on his works. Ibn Rushd was not only a philosopher but also a judge, legal thinker, physician, and politician, like so many of the other philosophers in the Islamic world. His work is marked by its commitment to what he took to be pure Aristotelianism and his relative antipathy to Neoplatonism. He defended the acceptability of philosophy in the Islamic world, arguing that it does not contradict religion but complements it. Ibn Rushd held that philosophy represents the system of demonstrative or rational argumentation, while religion presents the conclusions of philosophy to a wider audience in a form that enables the latter to understand how to act. This thesis came to be characterized as the “double-truth” thesis, which held that philosophy and religion are both true despite contradicting each other. Nevertheless, Ibn Rushd did not hold such a thesis, whatever views were attributed to him outside of the Islamic world after his death. During his lifetime, Ibn Rushd suffered at the hands of rulers who were occasionally unsympathetic to philosophy, and after his death his style of philosophy soon fell out of fashion in the Arabicspeaking Islamic world. It is the commentaries that led to his continuing influence in Jewish and Christian Europe long after he was forgotten in the Islamic world. Hasan ibn Ali ibn Abi Talib was the grandson of the prophet Muhammad and the second Shi_ite imam. Born in Medina in 624, three years after the hijra, he died at age forty-six in Medina in 670. In Shi_ite parables he and his brother Husayn, the third imam, are figured as two alternative political strategies against injustice in the world and in politics. Hasan embodies the path of patience, which allows the enemy slowly to demonstrate unworthiness and lose any claim to legitimacy. Husayn embodies the path of armed revolt. 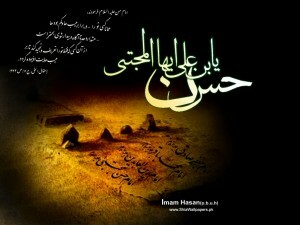 After the death of his father, _Ali bin Talib, the first imam, Mu_awiya became caliph. According to the Shi_ite account, Hasan should have succeeded his father. 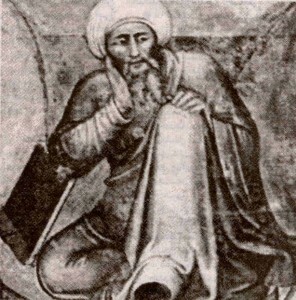 Hasan was an important rawi (reciter) and interpreter of the hadith and sunna (sayings and practices) of the Prophet and his Companions, reflecting the role of the imams in having access also to the divine meanings of revelation. But Hasan was too weak politically to challenge Mu_awiya for the leadership of the community. After Mu_awiya attempted to have him assasinated, and many of his followers abandoned him, Hasan came to an understanding with Mu_awiya, wherein Hasan was sent to live in Medina, while Mu_awiya promised that leadership would revert to the family of the Prophet upon his death. But Mu_awiya broke his promise by appointing his son Yazid to succeed him, and convinced Ja_da, Hasan’s wife, to poison the imam. 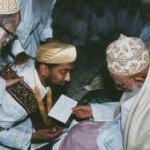 In addition to paying Ja_da, Mu_awiyya also promised to marry her to his son and heir, Yazid. The giving of poisoned water is the inverse of the denial of water to Husayn on the battlefield of Karbala, where the third imam was martyred by the forces of Yazid. Imam Husayn’s revolt subsequently disgraced Yazid, and created in him the archetypal figure of evil in Shi_ite stories of injustice. This parable structure is also encoded in a hadith quoted by Mohammad Baqer Majlesi, the preeminent mujtahed of the seventeenth century. On Id al-Fitr, according to the hadith, Gabriel descended with a gift of new white clothes for each of the Prophet’s grandsons. The Prophet said that the grandsons were used to colored clothes. So Gabriel asked each boy what color he wanted. Hasan chose green, Husayn red. While the clothes were being dyed, Gabriel wept. He explained: Hasan’s choice of green meant that he would be martyred by poisoning, and his body would turn green, and Husayn’s choice of red meant he would be martyred and his blood would turn the ground red. which is the overarching cosmic and paradigmatic story of existential tragedy, of injustice in this world triumphing often by force over justice, and of the duty of a true Muslim to sacrifice himself, to witness for truth and justice. Al Ghazali (C. 1059–1111) :Abu Hamid Muhammad bin Muhammad al-Ghazali (or al- Ghazzali) (1058/9–1111) was born some seven years before the Battle of Hastings, the Norman conquest that transformed England. Imam Al Ghazali also known as alchemist of happiness in west.As an intellectual and thinker, Ghazali’s legacy is not only rich, but his imprint on the Muslim tradition is both diverse and complex. For this reason the enigma of his legacy makes him both a highly esteemed as well as a controversial figure. Generations of scholars have debated Ghazali’s role, studying the range of texts he had written in order to get a better picture of the man and his oeuvre. For some people Ghazali is the great “Defender of Islam” (Hujjat al-Islam, hujjat literally meaning “proof”). Others blame him for damaging the rational edifice of Islamic thought in his sharp critique of Muslim philosophers such as Ibn Sina and al-Farabi. However, Ghazali’s ideas can best be described as a work in progress and not easily abridged. Therefore, reducing his work to such polarities is to grossly oversimplify the achievements of a very complex life and mind. Ghazali’s childhood was marked by a frugal and impoverished existence, partly caused by the untimely death of his father. His early years were spent in his birthplace in Tus, near what is today the city of Mashhad in modern Iran. After his elementary education with his tutor Ahmad al-Radhkani, he traveled to the city of Jurjan near the Caspian Sea for higher studies with a leading scholar, Isma_il b Mis_ada al- Isma_ili (d. 1084). We learn of the apocryphal story of his encounter with brigands during his return journey from Jurjan. After the brigands had robbed all the travelers in the caravan, Ghazali pleaded with the brigands’ leader to return only his precious dissertation (ta_liqa), offering him the rest of his possessions in return. The brigand leader ridiculed Ghazali’s claim to knowledge and mocked him by showing that a thief could so easily take it away. Struck by this insight, Ghazali later commented: “He [the leader of the brigands] was an oracle (mustantaq) whom God made to speak, in order that He could guide me through him.” After that episode Ghazali committed all his notes to memory. But the major transformation in Ghazali’s intellectual life took place when he attended the Nizamiyya College in Nishapur. There he impressed the leading scholar of the day, Abu ’l-Ma_ali al-Juwayni (d. 1085), renowned for his expertise in dialectical theology (_ilm al-kalam) and Shafi_i law. Juwayni’s influence on Ghazali effectively brought him into a full engagement with the rational sciences, especially law, theology, logic, and later philosophy. Thus in Nishapur one begins to see the first signs of Ghazali’s extraordinary strength in law and dialectical theology. In law he followed the Shafi_i school while also studying Ash_ari theology without being a slavish adherent to this orientation. These intellectual gifts would serve him well in his rise to intellectual celebrity. At Nishapur, Ghazali learned Islamic mysticism (tasawwuf) from Abu _Ali al-Farmadhi (d. 1084/5). It is not clear what Ghazali did for roughly seven years after completing his formal studies in Nishapur. Most historians believe that he remained in Nishapur but regularly joined the retinue of scholars cultivated by the indomitable Seljuk wazir (Ar. wazir) Nizam al-Mulk. In 1091 Nizam al-Mulk appointed Ghazali professor of Shafi_i law at the Nizamiyya College in Baghdad. It is in Baghdad that Ghazali’s intellectual reputation culminated in the honorific “Defender of Islam.” It also marked one of the most productive periods in his life. He wrote several books on logic and law. It was also during this period that he wrote his famous refutation of the controversial doctrinal beliefs held by Muslim philosophers about the eternity of the world, their rejection of corporeal resurrection and that God only knew universals, The incoherence of the philosophers (Tahafut al-falasifa), followed by a vitriolic exposure of the doctrines of the Isma_ili Shi_a called The obscenities of the esoterists (Fada_ih al-batiniyya). But his meteoric rise came to an abrupt and dramatic end when he experienced a debilitating spiritual crisis, which he described in some detail in his spiritual testimony, Deliverance from error (al-Munqidh min al-dalal). He decided to abandon his public life of teaching and embarked on a life of contemplative reflection and asceticism. Explanations abound for this dramatic turn in Ghazali’s life. Some argue that he suffered intellectual self-doubt in his engagement with philosophy. Others link his anxieties to the series of Ismail_ili assassinations targeting political and religious figures, which gave Ghazali cause to fear for his own life. There is also a view that he found his political alliances with the Seljuk rulers and his ties to the Abbasid caliphal palace to be a source of moral suffocation. Perhaps cumulatively all these pressures had a deleterious impact on his mind and soul. Under the pretext of making the pilgrimage to Mecca, Ghazali left his family in the province of Khurasan and sought the anonymity of Jerusalem and Damascus, where he spent time meditating at the Dome of the Rock and the Umayyad mosque. After an absence of nearly five years (1095–1099) Ghazali returned to his native Tus. During this period, as a novice on the mystical path, he engaged in reflection and disciplinary practices of the self as taught by master mystics such as Junayd of Baghdad, Harith al-Muhasibi, and others. It is also in this period of his life that he undertook the writing of his magnum opus for which he is best known in the world of scholarship, The revivification of the sciences of religion (Ihya ulum al-din). This is now a classic in Muslim religious writing and is widely used to this day. In it Ghazali explores the ethical purposes of religious practices but more importantly provides a road map as to how this can lead to a transformation of the self. As a body of writing, Revivification represents Ghazali’s personal journey, in which he writes his ailing soul to health. Given his broad intellectual repertoire, Ghazali was able to explore a variety of themes in a complex and convincing manner, drawing on a variety of sources and ideas that he combines into an almost seamless narrative. The Revivification consists of four books, each addressing an overall theme: starting with rituals (_ibadat), customs and practices (_adat), practices that lead to peril (muhlikat), and salvific practices (munjiyat). Jamal al-Din Afghani, one of the most influential Muslim reformers of the nineteenth century, was most likely born in Asadabad, Iran, into a Shiite family. Throughout his life, however, he emphasized his Afghan ancestry, perhaps to broaden his appeal to Sunni Muslims. Little concrete information is available about his early life, but he probably received a traditional Islamic education in Iran and Iraq. During a visit to India around 1855, he was exposed to Western scientific and political thought for the first time. His stay in India coincided with the Sepoy Mutiny of 1857 (the Indian revolt against the East India Company), and his attitudes toward European and particularly British imperialism may have begun to form then. 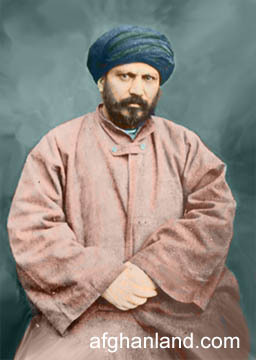 Around 1866, Afghani began his peripatetic career as a Muslim intellectual and political activist by accepting a post in the government of Afghanistan. Over the next thirty years he traveled to or resided in Istanbul, Cairo, Paris, London, Tehran, and St. Petersburg, frequently being forced to relocate because of his reformist views and political activities. Afghani is commonly viewed as the nineteenth century’s chief ideologue of pan- Islamism. But his ideas, many of them expressed through the journal al-_Urwa al-wuthqa (The firmest grip; a reference to Qur_an 2:256, 31:22), which he copublished with Muhammad _Abduh, never amounted to a coherent ideology. More than anything else, Afghani was driven by opposition to European imperialism in Muslim countries, which he argued could be fought only by a rejuvenation of Islamic culture. Mustafa Kemal (Ataturk) was born in 1881 into a family of modest means in Salonica, then an Ottoman port city in what is today a city in Greece. 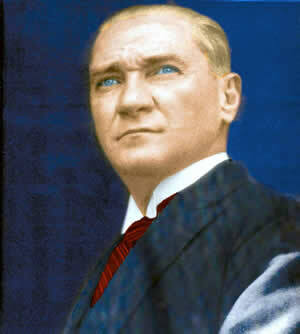 He died in Istanbul on 10 November 1938. His father, _Ali Riza Bey, was a progressive person and worked at the customs house. His mother, Zubeyde Hanim, was a devout Muslim who instilled Islamic values in young Mustafa. Only seven years old at the death of his father, he was raised by his mother and completed his early education at local schools. In 1893 he began his studies at a military secondary school where his teacher gave him his second name, Kemal (perfection), owing to Mustafa’s outstanding performance in mathematics. Two years later he attended the military academy in Manastir and later entered the War Academy. 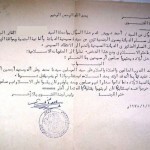 He graduated in 1905 with the rank of staff captain, and in 1906 was assigned to the Fifth Army in Damascus. In 1907 his duties took him to Macedonia where he established connections with the Young Turks. He participated in the defense of Tripolitania at Tobruk and Derna against the Italian invasion (1911–1912), was appointed as a militaryattaché to Sophia, and returned to Istanbul to distinguish himself at the Dardanelles in 1915. During World War I, he served on various fronts such as the Caucasus, Palestine, and Aleppo. Rejecting the Mudros Armistice (30 October 1918), which the Allied powers had imposed on the Ottomans, Mustafa Kemal moved on to Anatolia in May 1919 to begin his nationalist struggle against the invasion and partition of the country. That same year, at the congresses of Erzurum (23 July) and Sivas (4 September), he defined the nationalist demands and goals for independence. It was during this period that he molded various regional paramilitary defense associations into a nationalist army. On 23 April 1920, he established the Great National Assembly in Ankara, claiming exclusive legitimacy in representing the Turkish interests. He was unanimously elected the first president of the assembly. Firkasi (People’s Party, later Cumhuriyet Halk Partisi— Republican People’s Party) proclaimed the republic and elected Mustafa Kemal its first president. Thus a six hundredyear- old political tradition was brushed aside, and sovereignty placed directly in the hands of the people. The Egyptian leader who dominated two decades of Arab history, Jamal _Abd al-Nasser was born 15 January 1918, the son of a postal official. Raised in Alexandria and Cairo, he entered the military academy and was commissioned in 1938. Thereafter, he joined a secret Muslim Brotherhood cell, where he met fellow dissidents with whom he later founded the Free Officers. On 23 July 1952 the Free Officers seized power; within a year they outlawed political parties and established a republic. In 1954, they dismissed the figurehead president Muhammad Najib (Naguib) and repressed all opposition. 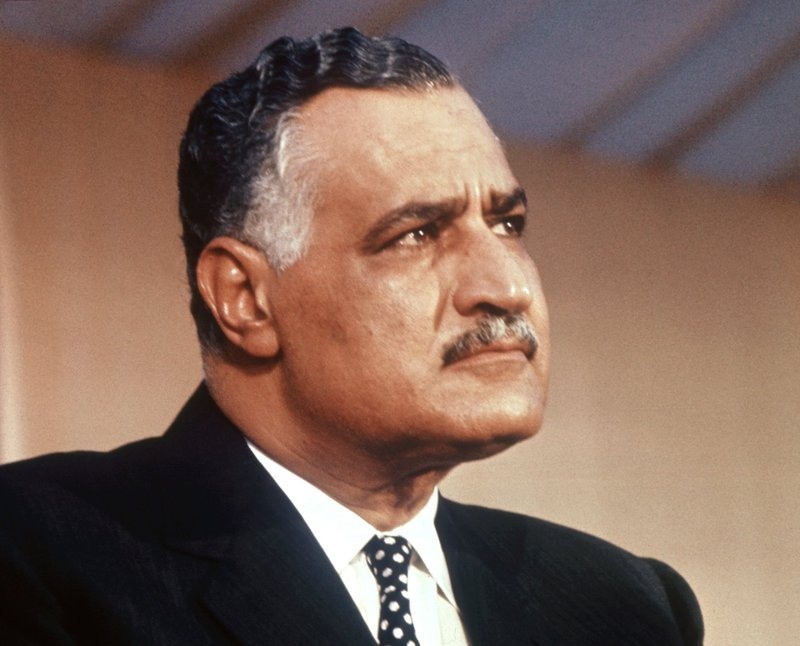 Elected president in June 1956, Nasser ruled until his death. 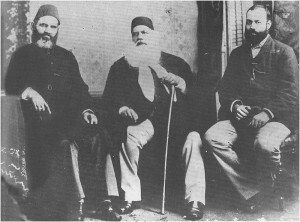 Under his leadership Egypt remained a one-party state. The ruling party changed names several times; the Arab Socialist Union, formed in 1962, survived until 1978 when Nasser’s successor, Anwar al-Sadat, abolished it. 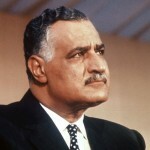 A charismatic leader, Nasser drew regional acclaim and international notoriety for his championship of pan-Arabism and his leadership role in the Non-Aligned Movement. His popularity soared during the 1956 Suez Crisis, sparked by Egypt’s nationalization of the Suez Canal Company. 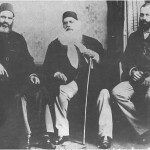 The tripartite British-French-Israeli invasion failed to topple his regime and solidified his reputation. Frustrated with the pace of social and economic reform, in the early 1960s Nasser promoted a series of socialist decrees nationalizing key sectors of industry, agriculture, finance, and the arts. Egypt’s relations with the Soviet bloc improved, but Nasser never turned entirely away from the West. In regional affairs the years after Suez were marked by a series of setbacks. The United Arab Republic (1958–1961) ended with Syria’s cessation, and the Yemeni civil war (1962–1967) entangled Egyptian troops in a quagmire. Sayyid Ahmad Khan was an educational and political leader of Muslims who were living under British rule in India. He developed concepts of religious modernism and community identity that mark the transition from Mogul India to the rise of representative government and the quest for self determination. 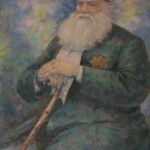 Born and educated in Delhi in the surviving remnant of the Mogul regime, Sayyid Ahmad embarked on a career in the British subordinate judicial service, the lower level law courts where Indian judges presided and cases were conducted in Indian languages, and was posted in a series of north Indian towns and cities. During these years he published historical and religious texts and was one of the pioneers of the printing of Urdu prose. He remained loyal to the British during the 1857 revolt, and worked to reconcile Indian, Muslim, and British institutions and ideologies. 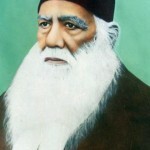 In 1864, he founded the Scientific Society in Ghazipur (shifted the following year to Aligarh), which was devoted to translating practical and scientific works into Urdu. In 1869, he traveled to England to write a defense of the life of the Prophet and to examine British educational institutions. While in England, he conceived the idea of founding a residential college primarily for Muslims and devoted the rest of his life to the cause of the Muhammadan Anglo-Oriental College, Aligarh, which was founded in 1875. During this period, he became a prolific writer on religious, social, and political issues. In 1887, he announced his opposition to the Indian National Congress on the grounds that representative government was not in the best interests of Muslims. Knighted by the British in 1888, he left a legacy of political separatism that future generations transformed into a movement for the creation of Pakistan as a separate state for South Asian Muslims. Aga Khan is the title inherited by the modern imams of the Shia Nizari Ismaili Muslims. The title was first granted by the Iranian ruler Fath _Ali Shah to Imam Hasan _Ali Shah (1804–1881), who also served as governor of Qum, Mahallat, and Kirman. Forced to leave Iran, he settled eventually in British-ruled India. His son, Shah Ali Shah, Aga Khan II (1830–1835), was imam for four years and was succeeded after his death by his eight-year-old son who became well known internationally as Sir Sultan Muhammad Shah, Aga Khan III (1877–1957). He guided the community into the twentieth century by locating social welfare, educational, economic, and religious institutions within the framework of a structured community constitution to promote better organization and governance. His leadership played a crucial role in enabling the community, some of whose members had migrated from India to Africa, to adapt successfully to historical change and modernity. In addition to his responsibilities as imam and spiritual leader for the welfare of his followers, Aga Khan III played an important role as a statesman in international and Muslim affairs. He was president of the League of Nations from 1937 to 1938 and also played an important role in the political evolution of the Indian subcontinent. Deeply committed to social reform and education among Muslims of Africa and Asia he assisted in the creation of several institutions such as schools, hospitals, and the East African Muslim Welfare Society. He was also an eloquent advocate for the education of women and the advancement of their social and public role. In addition to other writings and speeches, he wrote two books, India in Transition (1918) and his Memoirs (1954). He died in 1957 and is buried in Aswan, Egypt. 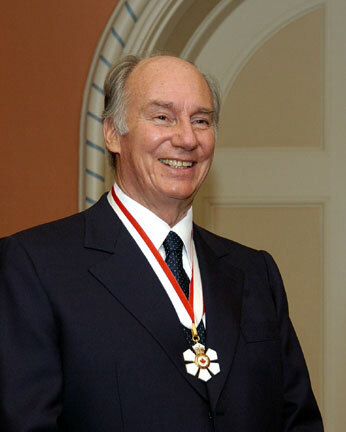 Aga Khan IV, Shah Karim al-Husayni, was born in 1936 and was educated in Europe and at Harvard University. During his leadership, a worldwide community emerged successfully through complex and turbulent changes. The Ismailis, who live in some thirty countries and represent cultural and geographical diversity, acknowledge the spiritual authority of the imam and have responded actively to his guidance. This has enabled them to build further on inherited institutions and to create common purpose in their endeavors through well-coordinated local, national, and international institutions. 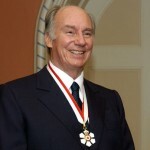 Aga Khan IV also created the Aga Khan Development Network, to promote a humanitarian, intellectual, and social vision of Islam and tradition of service to society. Its international activities have earned an enviable reputation for their commitment to the development of societies, without bias to national or religious affiliation, and to the promotion of culture as a key resource and enabling factor in human and social development. The Award for Architecture and the Trust for Culture promote concern and awareness of the built environment, and cultural and historical preservation. Various institutions of higher education, such as the Aga Khan University, Central Asian University, and the Institute of Ismaili Studies promote scholarship and training in a wide variety of fields. The Aga Khan’s leadership and vision continue to be reflected in the increasingly significant global impact that these community institutions and the network are having in the fields of social, educational, economic, and cultural development.